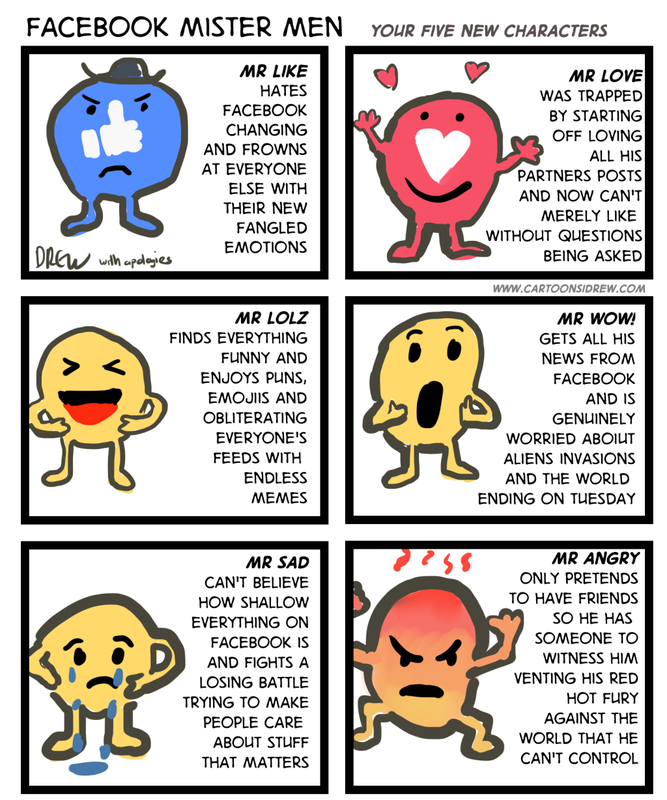 In the social media arms race after Twitter changed it's star for a heart Facebook have come back with five extra reactions on top of the traditional, conservative Like they are Love, HaHa, Sad, Angry, Sleepy, Sneezy and Bashful! Of course people will react to the Facebook reactions until they just get used to them and the next time Facebook make a change like adding a 'Dislike' button people who don't like change can react again. For me I'm not sure what my reaction is so I'll just like articles forever.